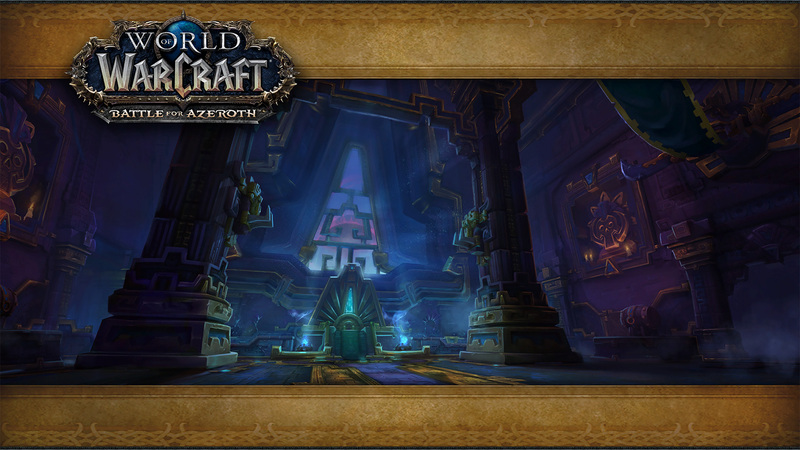 The Battle of Dazar'alor raid in World of Warcraft was added to the game data in Patch 8.1, and released in January 2019. Our strategy guide will help you to defeat the Battle of Dazar'alor encounters and the loot listing below contains all of the loot the bosses drop on each difficulty. Battle for Dazar'alor has nine bosses that drop item level 370 (LFR), 385 (Normal), 400 (Heroic), 415 (Mythic) loot. Dazar'alor is the spiritual and literal center of the Zandalari empire, housing the Great Seal which now serves as the Horde embassy as well as Rastakhan's Court. Dazar'alor is named after Dazar, the founder and first king of Zandalar, its name most likely translating to "the temple of Dazar." Both Dazar'alar and Zuldazar itself were greatly damaged in the Cataclysm, described as tilting and slowly filling with seawater - this damage was fixed between the Cataclysm and now, and it is likely Rastakhan's court was moved from the inner confines of the temple to its summit where you find the king now. 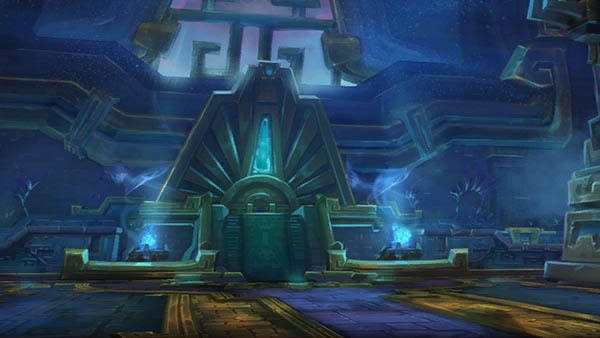 It was later discovered that Dazar'alor was also one of a set of three temple structures created for the purpose of sealing away G'huun. The Great Seal itself was damaged by Mythrax the Unraveler when he was unleashed, thus freeing G'huun. Seeing a chance to sever the growing bonds between the Zandalari and the Horde, the Alliance enacts a plan to lay siege to the seat of Zandalari power. Dazar'alor is also a treasure trove of relics the Zandalari have collected throughout the ages, including a powerful artifact recently stolen by the Horde from Kul Tiras. Head to 54,29 in Zuldazar to find the Battle for Dazar'alor raid entrance. 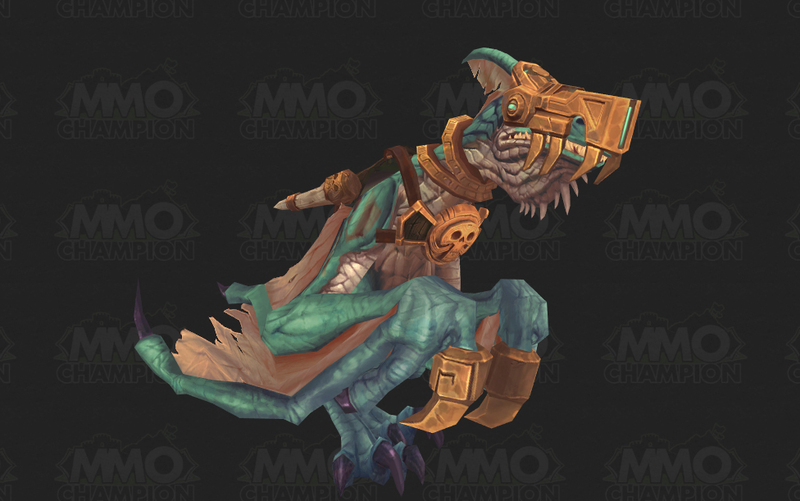 Glory of the Dazar'alor Raider rewards the Dazar'alor Windreaver mount. Barrel of MonkeysDefeat Grong in the Battle of Dazar'alor after destroying 6 Barrels on Normal Difficulty or higher. De Lurker Be'loaFish up the De Lurker Be'loa, then defeat the Stormwall Blockade on Normal Difficulty or higher. Hidden DragonHatch the cloud serpent egg during the Jadefire Masters encounter in the Battle of Dazar'alor on Normal difficulty or higher. I Got Next!Defeat High Tinker Mekkatorque in the Battle of Dazar'alor after defeating the Blingtron MK2 on Normal Difficulty or higher. Snow Fun AllowedBuild a Frosty Snowmon then destroy it before defeating Jaina Proudmoore in the Battle of Dazar'alor on Normal Difficulty or higher. We Got Spirit, How About You?Defeat King Rastakhan with the Phantom of Retribution, Phantom of Rage and Phantom of Slaughter still alive on Normal difficulty or higher. Battle for Dazar'alor also rewards a title, two mounts, as well as a special title for the top 100 guild kills. G.M.O.D. drops from High Tinker Mekkatorque on all difficulties. Glacial Tidestorm drops from Mythic Jaina Proudmoore. Battle of Dazar'alor loot doesn't include any Tier sets, as Tier sets are gone for now!